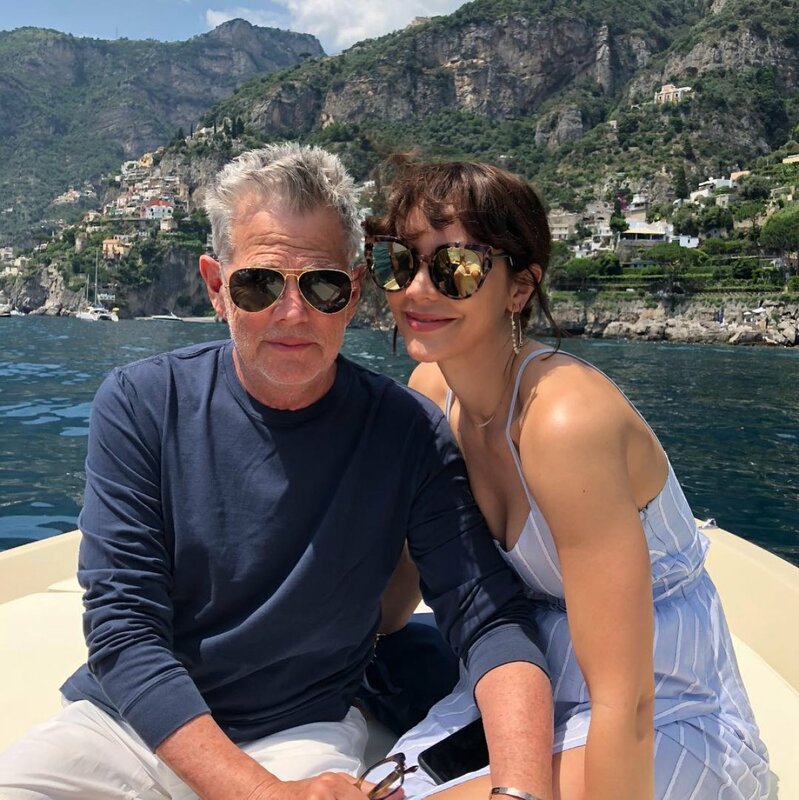 'American Idol's Katharine McPhee engaged to David Foster! Former American Idol finalist Katharine McPhee is going to be record producer David Foster's bride. The singer and actress' representative confirmed to People that Katharine and David are engaged. Katharine, 34, posted a screenshot July 4 on Instagram of a text message between Just Jared founder Jared Eng and herself, writing that 68-year-old David popped the question during their vacation to Italy, which the couple had documented on social media earlier this week. "He did it at the top of this mountain in Anacapri," Katharine apparently told Jared. "Totally dark, only stars. Thankfully he didn't push me off the cliff. He said it was one or the other. And in the end he spared me." Jared seemed thrilled for his pal, gushing about how David had done "a mighty fine job" with Katharine's engagement ring being it's "beautiful and classic." The couple first sparked romance rumors in May 2017 when they were spotted getting cozy in Malibu. David's daughter Erin later prompted even more speculation when she referred to her dad and Katharine as "my parents" on social media in September. Months later, Katharine addressed all the chatter about her alleged romance in Health magazine's December issue. "I'm pretty single. I had a relationship with [Scorpion co-star Elyes Gabel] that was almost two years," Katharine said. "But I haven't had anything super serious since." She added at the time, "[David and I are] very close friends, and we've been friends for a long time... I'm really, really fond of him and I think he's an incredible person. I've known him since I was 21 years old, you know? He produced my first single. So he's been really good to me. People can say whatever they want." But Katharine and David are no longer shying away from the public eye, as they made their red carpet debut together two months ago at the 2018 Met Gala in New York City. "When Kat talks about David, her face lights up. She's really so happy. They're actually so sweet together," a source told Us Weekly late last year. "They aren't hiding it anymore... David is really charming. The age difference might seem substantial to some, but they are really cute together and it makes sense." This union will mark Katharine's second time walking down the aisle. Katharine and Nick Cokas' marriage from 2008 to 2016 reportedly dissolved after the Smash alum allegedly had an affair with the former NBC show's director Michael Morris. As for David, Katharine will become his fifth wife. David was previously married to singer B.J. Cook from 1972 to 1981, Rebecca Dyer from 1982 to 1986, Linda Thompson from 1991 to 2005, and The Real Housewives of Beverly Hills alum Yolanda Hadid from 2011 until their divorce was finalized in May 2017. Katharine finished as the runner-up on Season 5 of American Idol in early 2006. She was defeated by the franchise's first-ever male winner, Taylor Hicks. Katharine McPhee reveals her father's Daniel McPhee death -- "We are completely heartbroken and devastated"